Creating custom handmade wood embellishments is super easy with our Birch Wood paper. 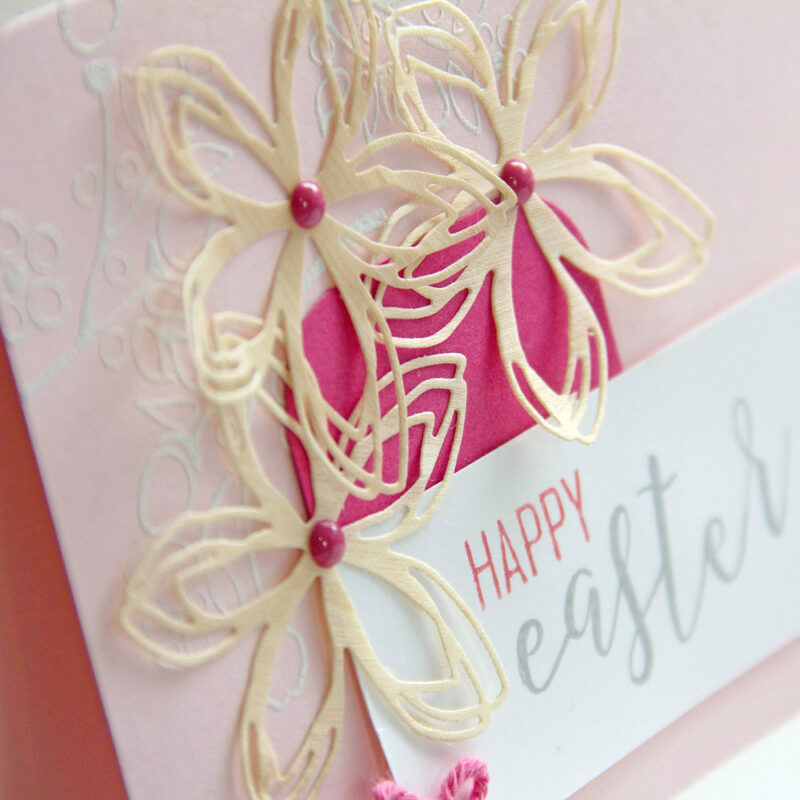 Wood paper embellishments are flat and lightweight since they are made from paper. Easily add wood embellishments to any project you are working on. We added Birch Wood flowers to this Spring treat and Easter card. Share a little spring treat that has homemade flair. These jelly bean bags are super easy to create. We quickly made 20 bags to drop around to our friends and family. Real Birch Wood Paper, 3×3 cellophane bags, Concord & 9th Floral & Flutter dies. 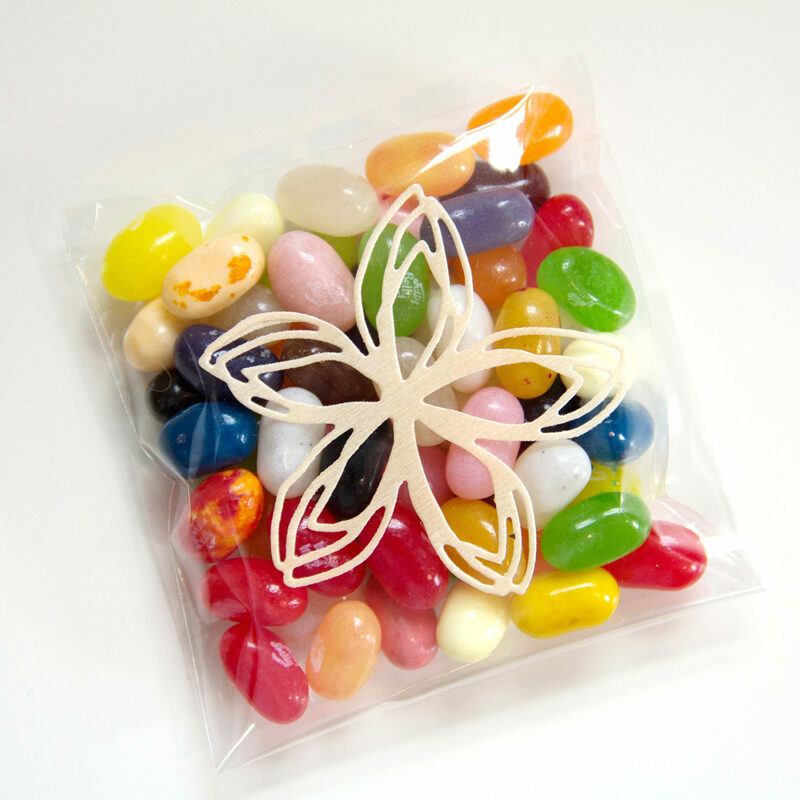 Fill a 3×3 cellophane bag with jelly beans and seal. Die cut the Flower image from the Floral and Flutter dies in Real Birch Wood paper. Remove the adhesive liner from the Real Birch Wood paper and adhere to the front of the cellophane bag. Real Birch Wood Paper, Concord & 9th Floral & Flutter dies, Concord & 9th Sophisticated Script stamp set, pink card stock, dark pink card stock, white card stock, white ink, pink ink, gray ink, floral background stamp, Rubarb Nuvo Crystal drops, pink twine, scissors and foam adhesive. 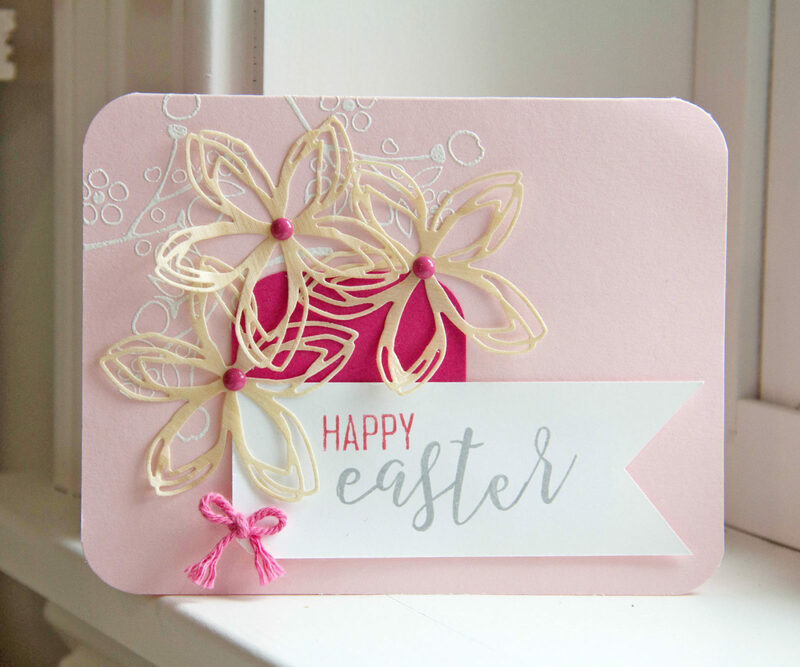 This entry was posted in Card Making, DIY Projects and tagged Card, Concord & 9th, diy, Easter, Easter Treat, handmade, Handmade card, treat, Wood embellishment.